Last year we picked up, packed up, and moved from New York to the San Francisco area. We loooove it here in the Bay area, but I sure miss autumn in New York. The smells, the weather, the COLOR! 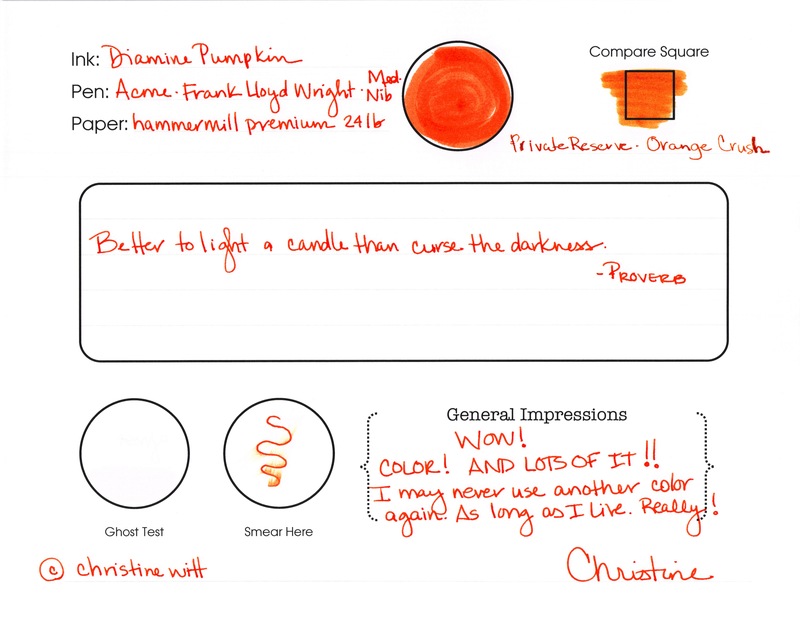 This screamin' orange ink from Diamine really does it for me. So bright, so right. It's a perfect shade of orange. Not too brown, too yellow, or too red. I'm in love. See what I said? "I may never use another color again. As long as I live. Really!" Ha! How crazy is that? I might mean it, though. Look at the Compare Square. 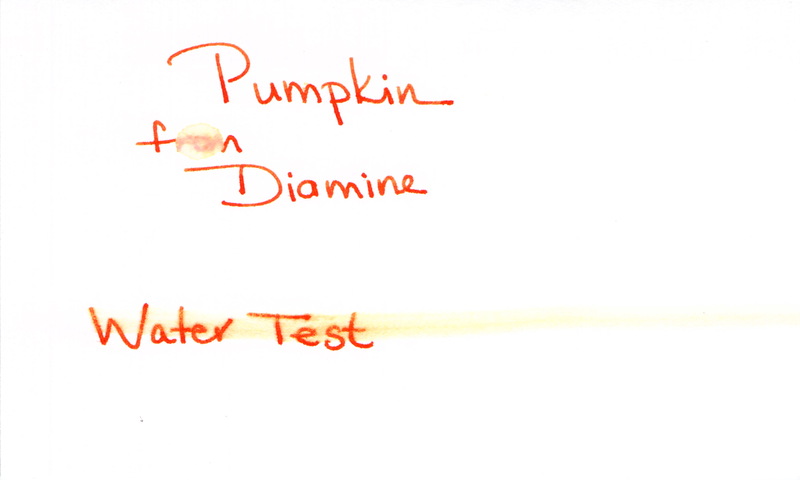 I think Orange Crush from Private Reserve looks more like a shade of pumpkin than Pumpkin from Diamine. I really think I should be in charge of naming colors. There's some smearing, but it's not awful. 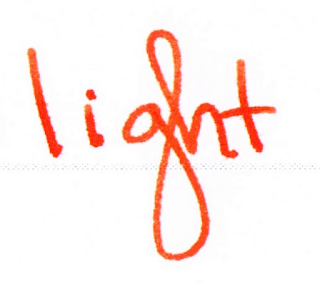 I made that squiggle, waited just a few seconds and then ran my finger along the ink. I didn't have any ghosting - and I wish I could come up with a better way of illustrating my ghost tests. I'll work on that. You work on getting this ink. Today. Whew. That's some ORANGE. I'm in love. Orange Jello! That's what it reminds me of. I almost wish I didn't have to show you this . . .
4. Smear a moistened Q-Tip across the words "Water Test"
I'm bummed that the water test is a fail. I'm not surprised, though. My limited understanding is that it's difficult to get water resistance from most mixed shades like purple, orange, green. Wah Wah. All of this said, I (probably) will not be using this color for everrrrrrything, but I'm totally into it for some fun this fall. I've found it all over the place for $12-15. 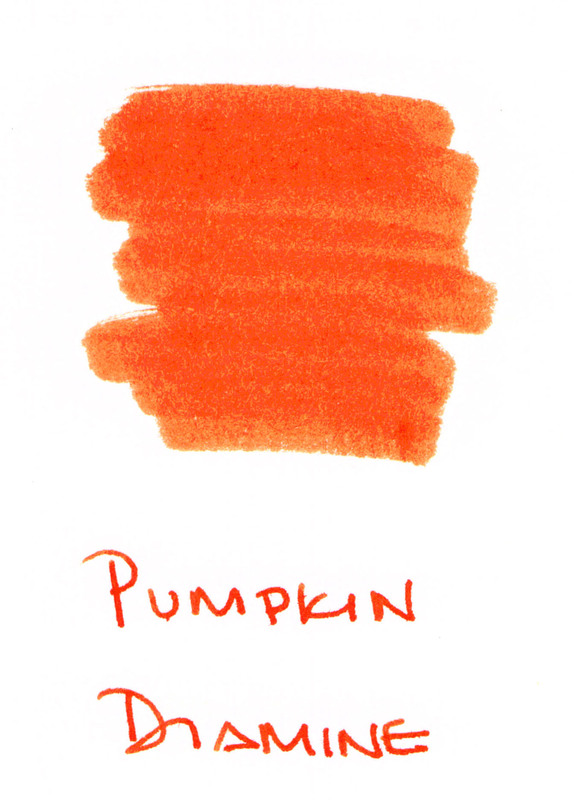 Are you seasonal about your ink colors? Which are your current favorites?